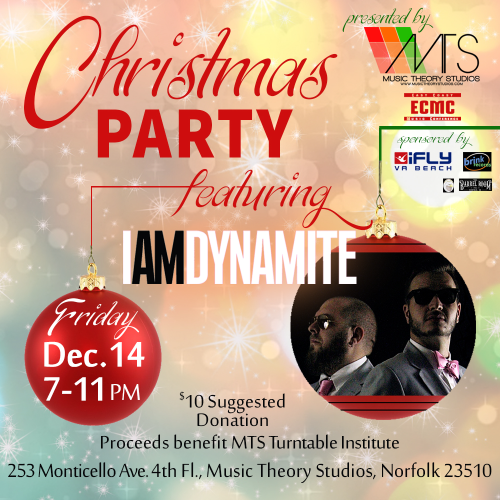 Come celebrate with IAmDynamite at the Music Theory Studios and East Coast Music Conference Christmas Party! MTS and ECMC are proud to present IAmDynamite at this awesome party to benefit the Turntable Institute! FREE ADMISSION - $10 suggested donation!